When I first saw these dolls, I immediately saw them photographed this way in my mind. Retro black and whites of them and cool color shots. I was more than a little obsessed for several weeks. My vision was to blow up these imagined shots and frame them as presents for my friend’s daughters. Doesn’t every girl want something like this?!? (um…no). A few close friends will remember the dolls living in my living room for a little while. I brought them out for a few friends and never put my toys away. “Look at my dolls!”. Yea, just like a ten-year old. Some of them “got it” conceptually and most gave me blank stares which said “It’s going to be okay Illy…”. Those dolls may have been around while we rang in 2010 with our friends watching a marathon of the Jersey Shore. I’m pretty sure they were still sitting there during our Superbowl party. I brought them to my Mom’s where my Mother-in-law and I enjoyed a few hours messing around with them and styling them. She got the concept right away. I didn’t take the photos though. I was afraid people would think it was strange. Who takes pictures of dolls anyway? I was also torn about the message behind them. Behind Barbie. 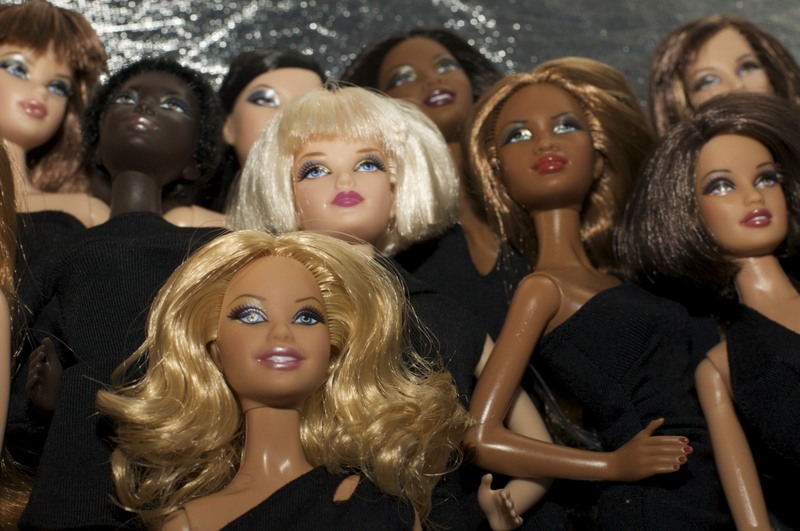 Though this line is diverse in skin tone and features (to a point), they are still very Barbie. The whole long hair, skinny thighs, ridiculous waist, and somewhat similar features. I don’t know that it was possible to capture what it is that I love about a Barbie without reinforcing stereotypes. Sometimes something can’t simply just “be” for me. But this one in particular – she kind of looks like she belongs on the pole. So, the dolls sat there for a while and were subsequently stowed away. I waited for the inspiration to come back to me. It always does if I wait patiently. Opportunity struck when we were invited to the Barbie-themed birthday party of the daughter of dear friends. I decided to just go for it and trust my instincts and let her parents worry about the pole (sorry guys! love ya). I pulled the dolls out of hibernation, dusted them off, and dragged them out to the deck off my bedroom along with various things to use for background and yea, hairspray and an eyebrow comb. I decided not to care what people thought and to trust that the five-year old in me understood what our friend’s daughter would want. I think I was right. I think she loved the photos. The adults did too. Even the husbands. I’m a little worried that one of the frames will go missing. 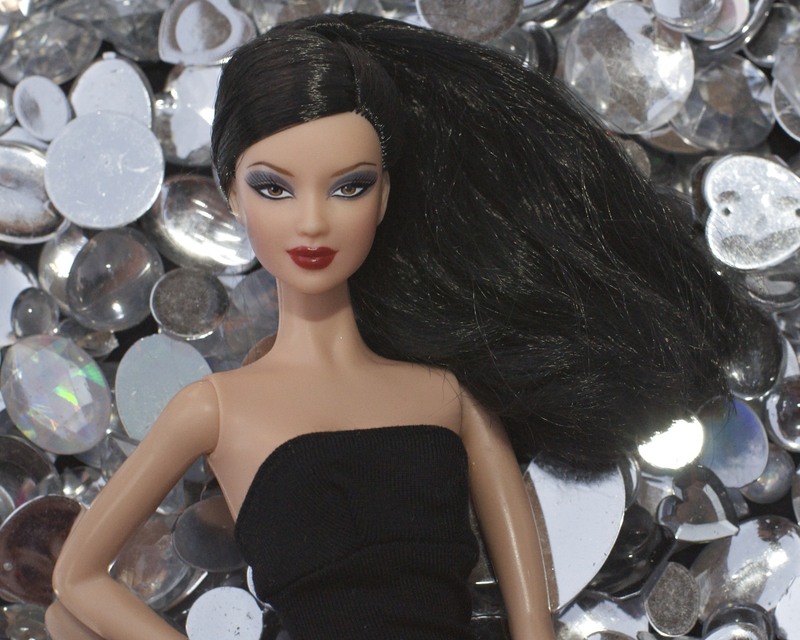 Unfortunately, some things are still out of my control and Barbie is…well she’s always going to be hot. More to come. There are still many dolls who haven’t yet had their photo session with me. Waiting for more inspiration. Already have some ideas.